Request a free Proto Labs 2018 Cool Parts Calendar and keep all your projects on track next year. Every month you’ll see a custom part made possible through 3D printing, CNC machining, injection molding, and the innovative companies behind the design of those parts. Mike Likes: Smalley is now ISO 13485:2016 Certified! SnapWeld, the first integrated MIG welding solution for collaborative robots, stole the show at FABTECH with attendees flocking to see the live welding demo. Many were surprised to find a cobot in an application most often associated with large cast iron welding robots in safety cages. Universal Robots’ blog takes a close look at not only SnapWeld but also other new cobot welding solutions now defying the notion that lightweight robots can't perform heavy-duty tasks. An ambitious NASA Mars rover mission set to launch in 2020 will rely on a special parachute to slow the spacecraft down as it enters the Martian atmosphere at over 12,000 mph. Preparations for this mission have provided, for the first time, dramatic video of the parachute opening at supersonic speed. The Manufacturing Technology Centre (MTC) in Coventry, UK, researches additive manufacturing techniques and supplies designs and prototypes to part producers in the aerospace industry, often employing laser powder bed fusion. In order to verify the quality and performance of their additively manufactured parts, they use COMSOL Multiphysics software for virtual design testing, validation, and performance prediction. Over the past couple of years, they began building apps from COMSOL models that allowed them to share their analysis capabilities among different teams exploring a variety of projects for their customers. A new type of semiconductor may be coming to a high-definition display near you. Scientists at the Department of Energy's Lawrence Berkeley National Laboratory have shown that a class of semiconductor called halide perovskites is capable of emitting multiple, bright colors from a single nanowire at resolutions as small as 500 nanometers. The Bebionic myoelectric hand prosthesis was recently developed to help with daily life challenges. Powerful and compact FAULHABER dc motors ensure that the prosthesis can grip without any problems, quickly and firmly, and maintain a constant gripping force. Two electrodes integrated into the prosthesis shaft detect the myoelectric signals and forward them to the control electronics. These signals are amplified and used to activate the 5 small electric motors. For the first time ever, a team of researchers successfully developed and tested networked acoustic emission sensors that can detect airframe damage on conceptual composite UH-60 Black Hawk rotorcraft. The discovery opens up possibilities for new onboard features that could immediately alert the flight crew to the state of structural damage, such as matrix cracking and delamination, as they occur. Smalley is now ISO 13485:2016 Certified! Smalley Steel Ring is now ISO 13485:2016 Certified, as is evident by our dedication to the medical industry. As the preferred supplier to the medical industry, our products are found in a wide range of medical devices from surgical instruments to implantables, imaging equipment, dental tools and more. We strive to provide the best engineered products, quality, service and deliverability. We maintain cross-industry Quality Management Systems in addition to supplying the medical industry. Those include Automotive (ISO/TS 16949:2009) and Aerospace (AS9100C), and we are certified to ISO 9001 and committed to environmentally conscious manufacturing techniques with our ISO 14001 certification. Learn more about Smalley's certified capabilities. How can Direct Drive servo technology help OEM engineers incorporate higher energy efficiency into machine design? This article by Kollmorgen Senior Applications/Systems Engineer Hurley Gill discusses how PMAC Direct Drive servo motor and drive technology not only reduces axis count, mechanical losses and noise, but also delivers increased efficiency and significantly lowers cost of operation. Gill presents a determinate measure and a specific method for calculating optimal inertia ratio for managing energy utilization of a servo motor during a machine’s design to maximize power savings. The new frameless motor kits from Maxon consist of only a rotor and stator -- no bearings or motor shaft. 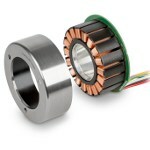 With outer diameters of only 43 mm to 90 mm, these pancake servo motor kits are extremely compact. Available in size ranges from 30 W to 260 W, these EC (electronically commutated) frameless slotted motors feature low-voltage windings, high pole pair count, and are shipped as BLDC motor kits with the rotor and stator delivered separately without bearings and motor shaft. The flat design, high torque output, and hollow-shaft construction provide plenty of space for cable glands, allowing for a high level of integration into OEM applications such as collaborative and mobile robots, AGVs, exoskeletons, and embedded robotic applications. Seoul Semiconductor has developed an ultra-compact LED driver series with a power density five times higher than conventional LED drivers. Based on Seoul Semiconductor’s patented Acrich technology, the MicroDriver Series delivers more than 24 W of output power with a power density of 20 W/cubic in., compared to existing drivers at 3 to 5 W/cubic in. This MicroDriver is 80% smaller than conventional LED drivers, giving lighting designers the ability to develop ultra-thin and novel luminaires with flicker-free operation -- shrinking the size of light fixtures by as much as 20%. 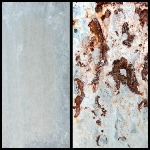 Ideal for wall sconces, vanity lights, downlights, and flush-mounted lighting fixture applications. 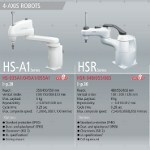 DENSO Robotics -- the world's largest manufacturer and user of small assembly robots -- has announced its new product catalog featuring a wide range of compact, high-speed industrial robots that have reaches of 350 mm to 1,300 mm, payload capacities as high as 20 kg, and repeatability to within +/-0.015 mm. The 52-page publication, which is offered in an interactive online version or as a download, features detailed descriptions, specifications, and schematics of DENSO’s entire lineup of four-axis SCARA and five- and six-axis articulated robots, robot controllers, and programming software. EXAIR’s new Gen4™ Ionizing Point delivers a high concentration of positive and negative ions to neutralize static electricity without requiring compressed air. This compact and shockless static eliminator is the ideal way to eliminate static electricity problems occurring in small spaces. 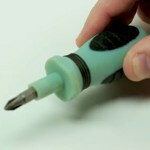 They are perfect for keeping small parts or products separate or from sticking to other surfaces. 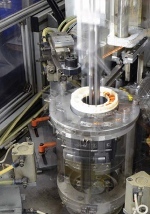 Gen4 Ionizing Points can protect sensors; eliminate improper readings of sensitive electronics; keep powder-filling nozzles clear of clogs; and prevent jamming, tearing, or dust attraction on slitting, winding, rewinding, ink jetting, and silk-screening applications. Titanium springs from Atlantic Spring-MW Industries offer improved resistance to corrosion, lower torsion modulus, shorter free length, greater strength, and significant weight reduction over steel springs. These attributes make titanium springs ideal for various aircraft, space, military, and defense applications. 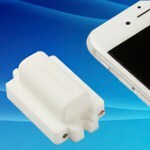 Atlantic Spring offers rapid prototyping services. Prototypes can be available within 3 to 5 days dependent upon design complexity and material availability. ISO9100C certified and ITAR registered. BellowsTech, an industry leader in the development and manufacture of metal bellows using edge-welded metal bellows technology, proudly serves the aerospace, semiconductor, UHV, Cryogenic, Oil and Gas, and various other high-technology markets. Learn how edge-welded bellows can work in your application. Our product video focuses on the unique characteristics and parameters of edge-welded metal bellows. New PolyJet Digital ABS Plus 3D-printing material from Stratasys significantly improves the mechanical performance of parts and prototypes for design verification and functional performance testing. Get better impact strength combined with high temperature resistance, accurate tolerances, and superior surface finish. Digital ABS Plus is available in green and ivory on the Connex3, Legacy Connex, and Objet1000 platforms.